The Gallipolis City Commission typically meets the first Tuesday of the month at 6 p.m. in the Gallipolis Municipal Building. 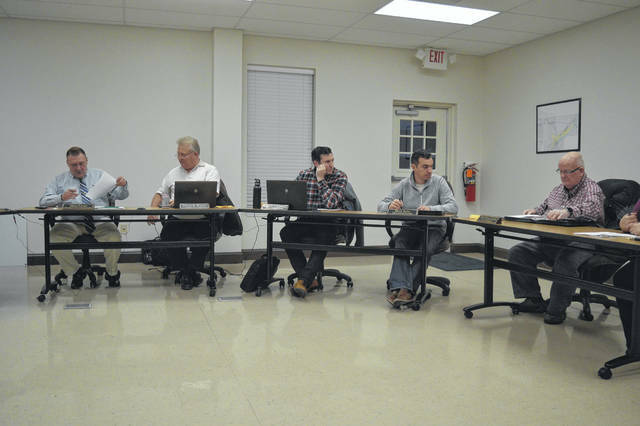 GALLIPOLIS — Gallipolis City Commissioners gathered Tuesday to discuss ongoing maintenance concerns. Due to funding, the meter changing process may take a few years, said Greene. Salt dispensing crews were active over the weekend, according to the city manager’s report. Greene said he expected Gallipolis City Park to be busy once again in the summer as individuals and groups were coming in to speak with city officials about signing up for park events. “That normally doesn’t happen until later on in the spring,” said Greene.